Quese IMC has performed nationally and internationally, has given keynotes and workshops on topics ranging from cultural awareness, empowerment and leadership, hiphop, art and activism, social justice, organizing and healthy lifestyles. 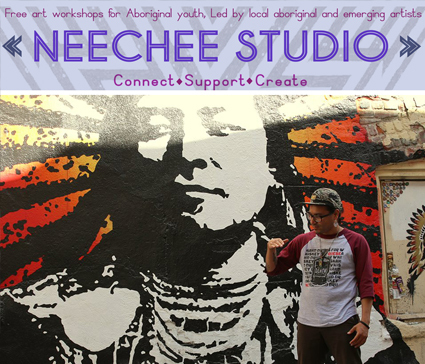 He continues to work with and within indigenous communities across the country, as well as inner-city youth programs, high schools, universities, youth conferences, multi-cultural impact building and cultural exchanges. Quese IMC will be performing at the Outpost Fri March 6, in an all ages show as part of LU Radio – CILU 102.7 FMFund Drive 2015. Hear him on CILU on “JAFO’s Mood” March 6th around 4:30 too!